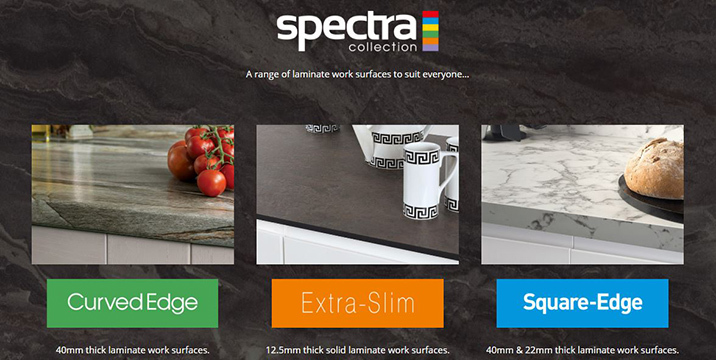 For the first time we can supply a laminate worktop with a factory fitted undermount sink saving ££££ compared to templated solid surfaces. The images shown below show a stainless steel sink fitted flush to the custom-made surface.The joint is completely waterproof, making it brilliantly hygienic and easy to clean. Unusually shaped breakfast bar fits effortlessly into the living space while also making a unique design statement. Custom-made 100mm breakfast bar working in combination with a stylish Carrera Marble island unit. Also Please e-mail WebSales for more details on Prices, Stock & Delivery.